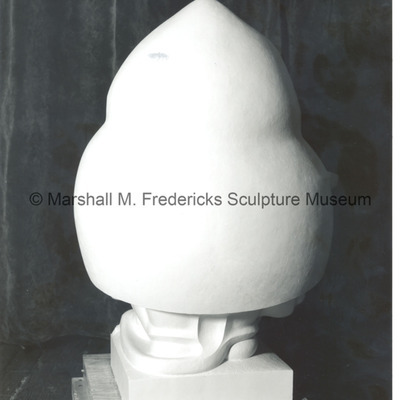 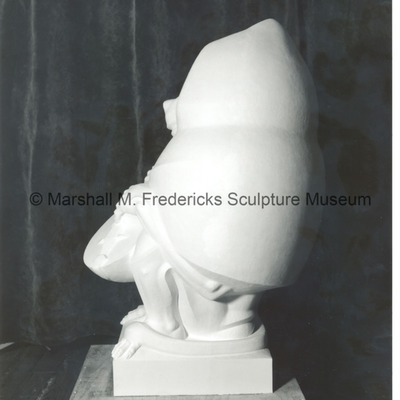 Full-scale plasteline model of "Baboon Playing a Mandolin" enlarged from 1939 small-scale plaster model shown at left. 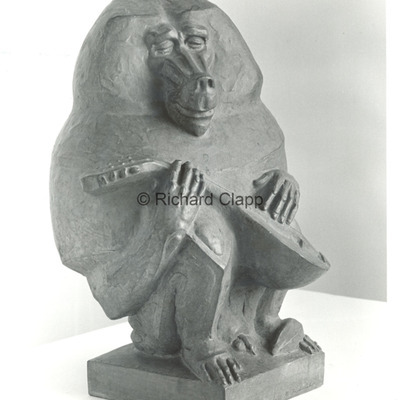 Bronze "Baboon Playing a Mandolin" - 14 inches. 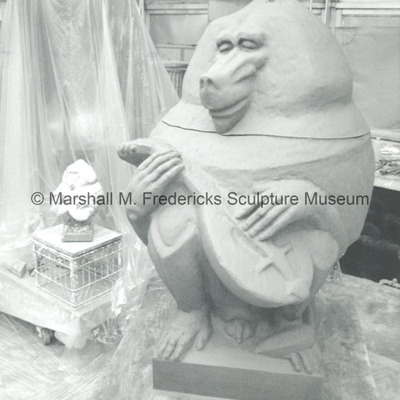 Plaster model of "Baboon Playing a Mandolin".